H&M Marine proudly represents the OrProducts range which remains your one stop shop for cleaning and waxing of boats, trailers and recreational vehicles. 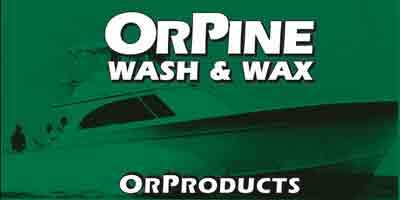 OrProducts continue to be the home of “OrPine Wash & Wax” and “Orpine Boat Soap” that have been favoured by our loyal customers, since the 1960’s. Our products are available from most marine supply stores and marinas. If your supplier does not carry our product line, please ask the manager to contact his wholesale distributor for a supply.